LB406S 6HS-400G-21 XRC7G Dell Lightning Write Intensive. Model LB406S. Tested in Compellent SC220. 400GB SSD SAS MLC 6G COMP-E338. Capacity: 400GB. Storage Capacity 400GB. SSD Type: MLC. Interface Types: SAS Serial Attached SCSI. Modell SSDSC2BA400G3I. Model SSDSC2BA400G3I. Speicherkapazität 400GB. 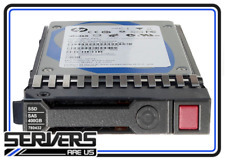 Drive Interface SATA. Drive Interface Standard 6 GB / s SATA. Marke LENOVO. Interface SATA. The units were subjected to extensive testing in our technical system integration and have passed this course correctly. Part Number8JYJK | 8JYJK-CML | HUSMH8040BSS200. Subs: 8JYJK-CML | HUSMH8040BSS200. A Storage Drive is crucial for any server system, permanently writing and reading your data quickly and efficiently, directly affecting performance and production. Serial Attached SCSI (SAS) 12Gb/s SC Solid State Drive (SSD). Generation SAS SSD. Do you need more performance from your HP ProLiant Server series platforms?. Data Transfer Rate 12G = 12Gb/sec. Leveraging NAND Flash technology, they support HP ProLiant servers including Gen9 and server storage platforms. Fru: 01DC484. interface: SAS 12G. manufacturer: LENOVO. for: STORAGE D1224. form factor: 2.5". capacity: 400 GB. 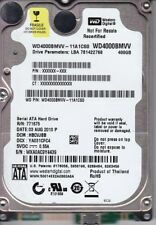 1 x IBM 00AJ162 400GB SSD HDD. All In One. Extended Warranty 1/2/3 years. We recycle. MDL: HM400LI. 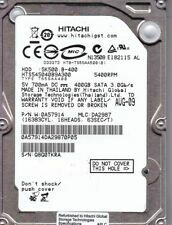 HDD P/N: HM400LI. P/N: 307411CQ928545. MPN HM400LI. Model HM400LI. Samsung 400Gb SATA Notebook Hard Drive. Storage Capacity 400GB. SATA Form Factor 2.5". PLIANT LIGHTNING LB400M. 400GB SFF 2.5" SAS Enterprise MLC SSD EFD SSD. FRU: 00Y2446. IBM Storwize 400GB 12Gb SAS 2.5" SSD for V7000. Dell, HP, IBM, NetApp, Cisco, Juniper, Brocade, and more. Bank BIC/Swift Code : CTBAAU2S. Account Number : 1001 2449. Account BSB : 064 050. 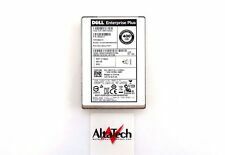 1x DELL 0X10NT 400 GB SSD 6 GBP s SAS MLC 2.5 ". Drive Interface Standard 6 GB / s SAS. Drive Interface SAS. Interface SAS. Storage capacity 400 GB. Data transfer rate 6 Gb / s. Marke Dell. The units were subjected to extensive testing in our technical system integration and have passed this course correctly. PLIANT LIGHTNING LB400M. 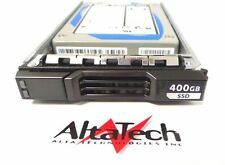 400GB SFF 2.5" SAS Enterprise MLC SSD EFD SSD. QTY 1, LOT OF 10. 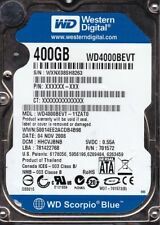 SSDPE2MD400G4 ES. 400GB, 2.5 ", PCIE ,3.0, 20NM,MLC hard drive. Our friendly staff is happy to help you. We will be happy to assist you. Model: HKK8C. 26-01-2018 13:40:41. Buy it Now! Over the years it has grown considerably and now provides support to over 2000 people each year. Serial Number. Model Number. Any components and/or spares sold as "Spares & Repairs" or ?. Sold as seen?. Highlights Do you need more performance from your HP ProLiant Sever series platforms?. Leveraging NAND Flash technology, they support HP ProLiant servers including Gen9 and server storage platforms. Because they are available as Small Form Factor (SFF) and Large Form Factor (LFF) hot plug devices, non-hot plug SFF devices, and SFF Quick Release devices, you have great flexibility in your installation. Storage Capacity 400GB. Interface SAS. SATA Form Factor 2.5 in. Form Factor 2.5". CONDITION: BULK. Capacity 400GB. Storage Capacity 400GB. Serial Attached SCSI (SAS) 12Gb/s SC Solid State Drive (SSD). Generation SAS SSD. Interface SAS. Genuine HP serial number and firmware. Genuine HP Certified Solid State Drive.